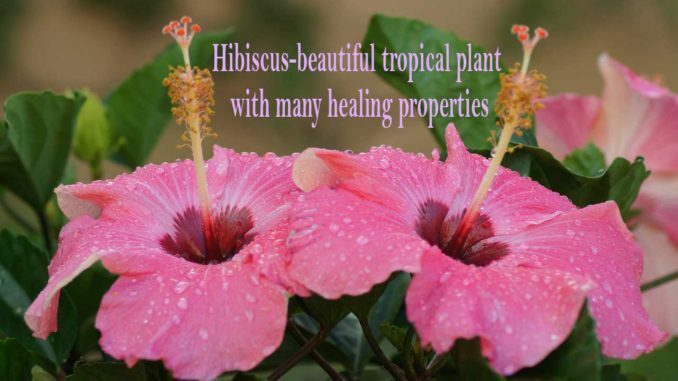 HomeHealth TopicsHealth and NatureHibiscus Beautiful Tropical Plant With Many Healing Properties! Hibiscus Beautiful Tropical Plant With Many Healing Properties! Hibiscus-beautiful tropical plant with many healing properties! Hibiscus, a plant recognizable by the large incredible flowers and it is known though history by the many healing properties. Hibiscus belongs to a family of marshmallows – Malvaceae, from the tropical regions of Central Africa, South Asia, and Central America. The hibiscus plant is known by many various names and some of them are Chinese rose or African Malva. There are more than 130 different species of hibiscus. 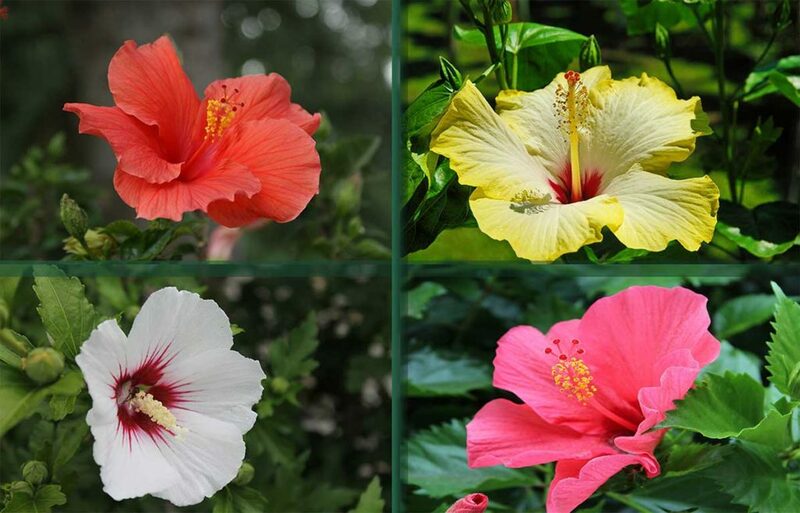 Hibiscus can be wild or cultivated with flower colors from light yellow to dark red. His appearance is always elegant, and the flowers are among the finest and most exotic in the world. Hibiscus is a plant that is consumed worldwide because of its beneficial effect on blood pressure and his cooling and relaxing attributes. Hibiscus tea was a favorite drink of the pharaohs from the ancient Nile Valley. You can also read about lavender plant beneficial effects, uses and side effects! Hibiscus contains citric and hibiscus acid. Some of the important ingredients that hibiscus contains are antioxidants and anthocyanins, a variety of flavonoids, pectin, and phytosterols. Also contains between 7.5% and 9.5% of iron, and 13 amino acids of which 6 are extremely important for the human body. Studies have found that hibiscus tea very effectively lowers LDL cholesterol. It contains bioflavonoids that help prevent the formation of plaque on the walls of arteries which reduces blood cholesterol and prevent a number of other serious diseases. Hypolipid and hypoglycemic properties of hibiscus tea are useful for those who suffer from diseases such as diabetes. The number of studies found that in patients with type 2 diabetes, tea, hibiscus significantly helps in lowering cholesterol and triglycerides. The effect of hibiscus on blood pressure is well known and supported by many studies. Drinking a cup of hibiscus tea three times a day helps in stabilizing blood pressure. Some studies even suggest that the hibiscus tea is much more effective than pharmaceutical drugs, and by being a natural plant has no side effects. In order to notice the right effects of hibiscus, it is necessary to drink tea continuously for a few weeks. Hibiscus tea is a real treasure trove of vitamin C and antioxidants and is an excellent fighter against colds and other infectious diseases. If you feel that you are getting sick, this plant will be a great help in overcoming the first symptoms. It is also used with fever because it cools the body. Hibiscus tea has also proven to be excellent and for wound healing. Hibiscus tea has been used in Egypt, China, and other countries in beauty treatments for a long time. It contains an abundance of antioxidants that eliminate harmful free radicals from the body. Eliminating them effectively can slow down the aging process and extend life expectancy. Other herbal teas that helps your body. Hibiscus naturally reduces appetite and helps with weight loss. 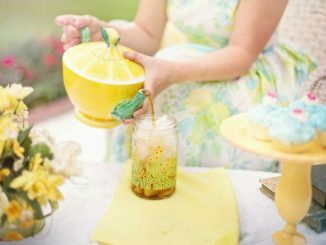 Even a single cup of tea daily helps reduce weight. 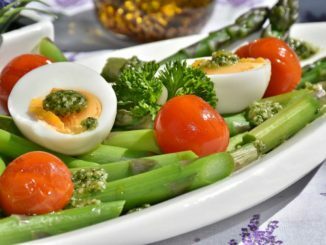 Also, it affects positively on the absorption of carbohydrates and fats. It slows down the absorption of fats so that they are being burned instead of being stored in the body. It has a mild diuretic and laxative effect which purifies the body and reduces bloating. If you suffer from constipation, hibiscus tea can be a great help to regulate digestion. It improves the function of the intestines and bladder. Because of its ability to reduce cramps, it can help with painful stool and other digestive problems such as irritable bowel syndrome. Hibiscus contains minerals and vitamins that have an antidepressant effect, therefore drinking one cup of hibiscus tea daily significantly helps to improve mood. For centuries hibiscus was used for anxiety relief and for the mind and body relaxation. If you have trouble sleeping, have a cup of hibiscus tea before bedtime. Hibiscus tea is used in India to treat both types of diabetes. It is also widely used in Eastern medicine as a remedy for the treatment of liver diseases. If you must take greater amounts of medications such as acetaminophen or other painkillers, hibiscus tea will help protect the liver and reduce the harmful effects of these drugs. One of the most famous properties of hibiscus is a cooling the body, making it an ideal drink for the summer heat. It is used as a sports drink to relieve thirst. For this purpose is served cold. It acts as a diuretic to relieve the body of excess fluids and toxins, and it allows athletes to have better physical performance.